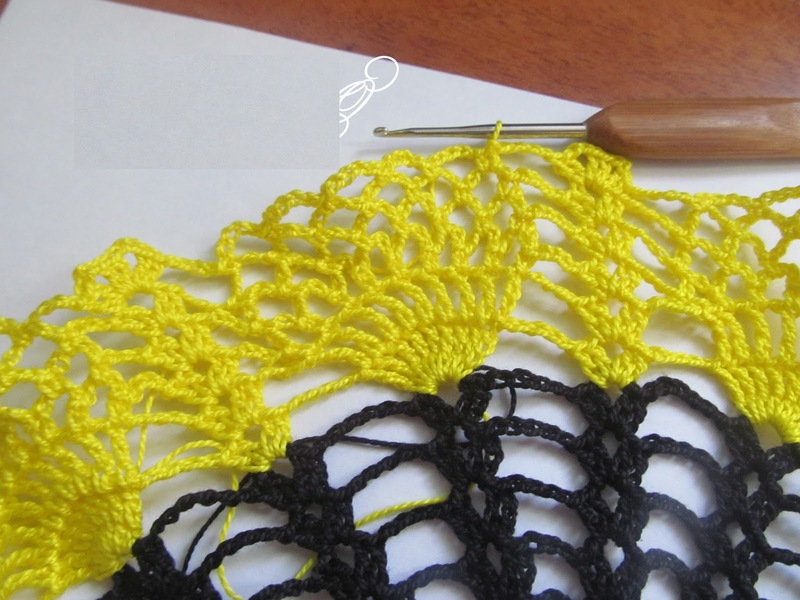 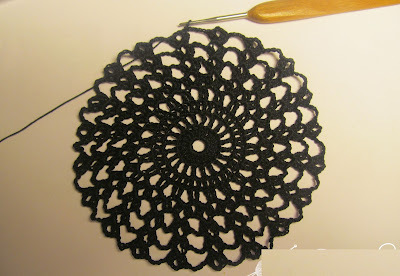 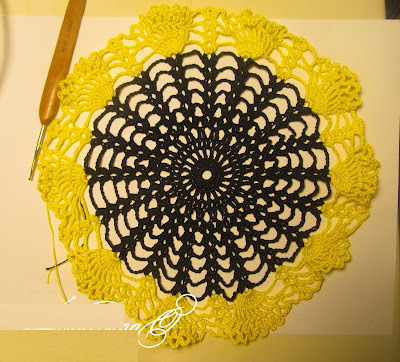 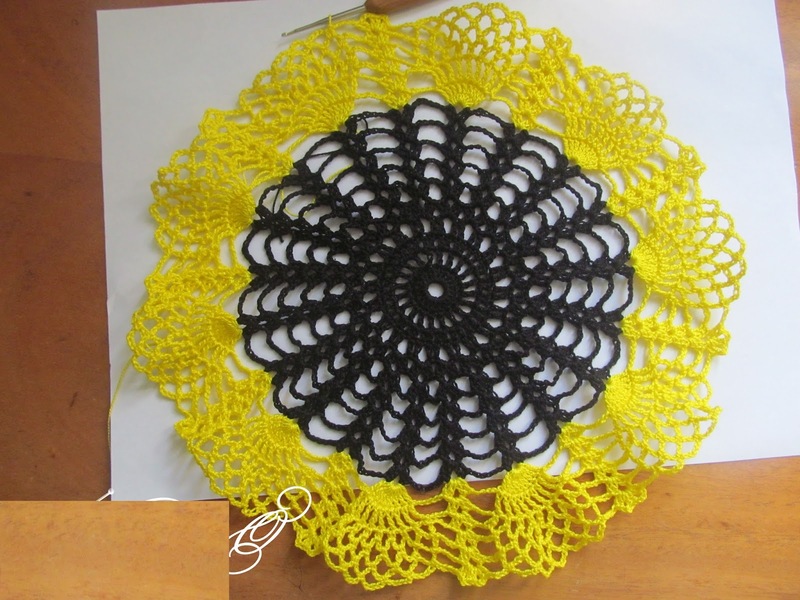 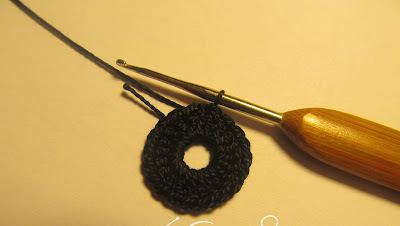 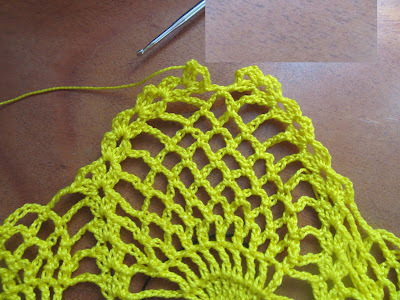 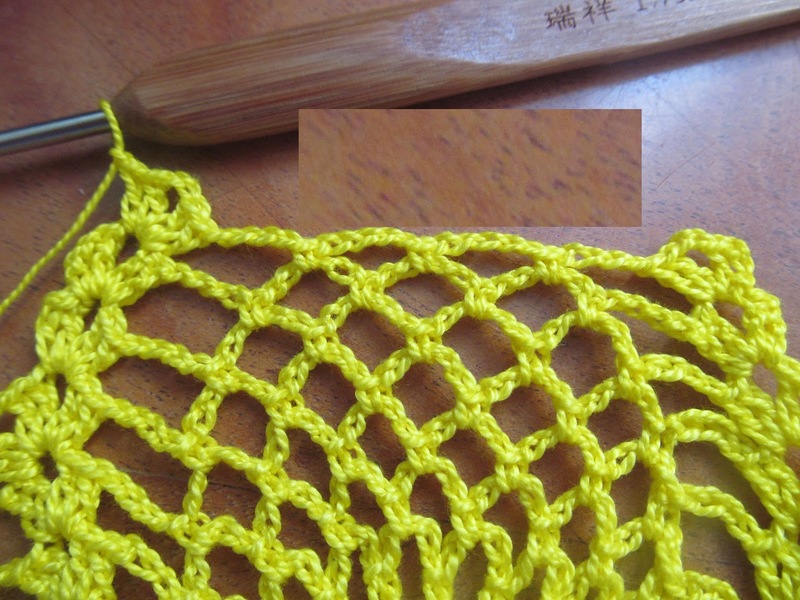 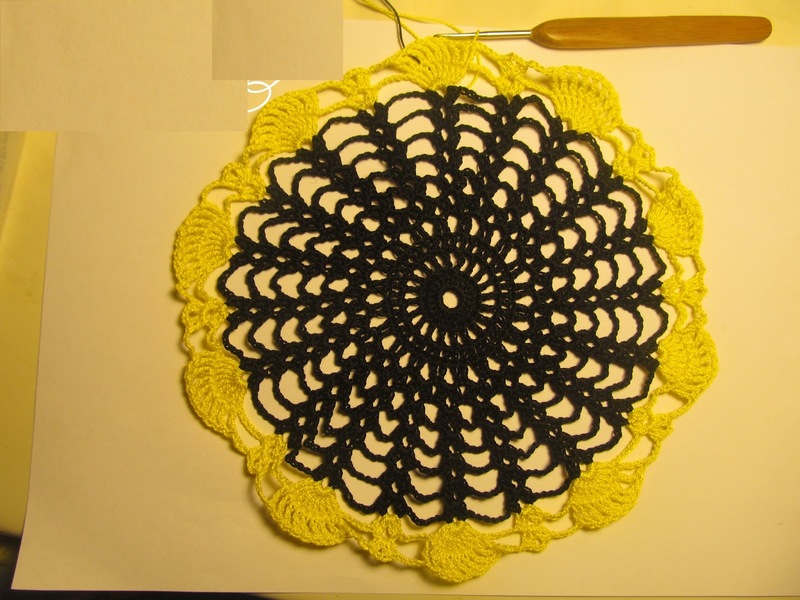 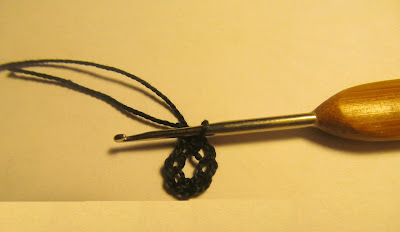 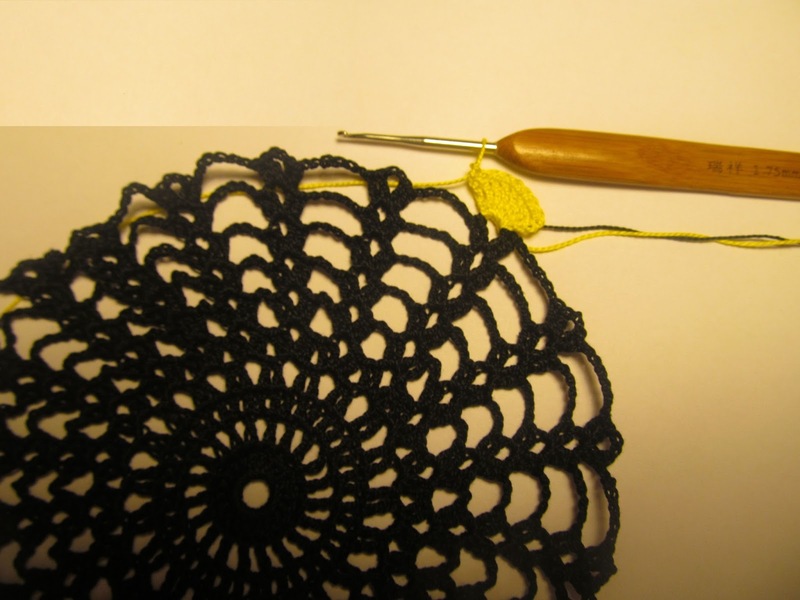 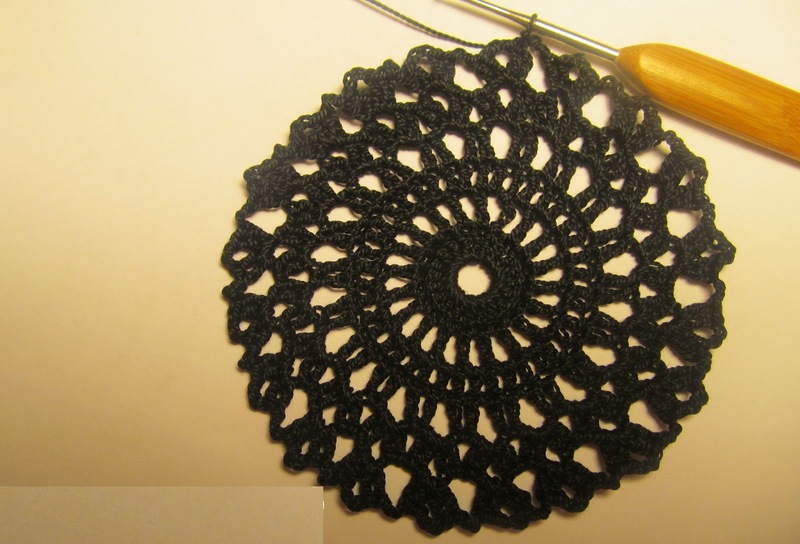 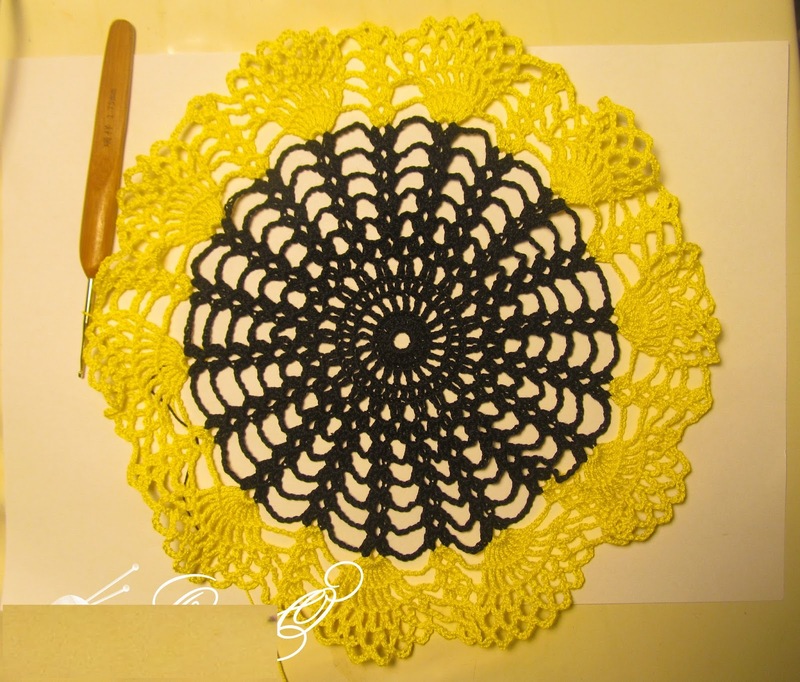 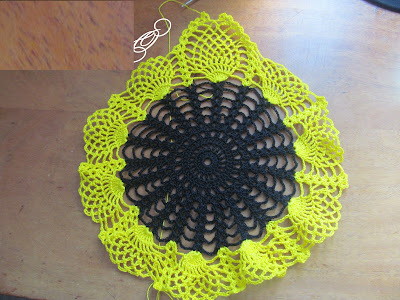 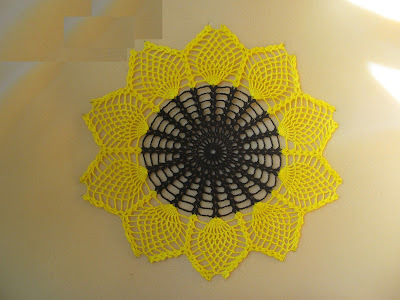 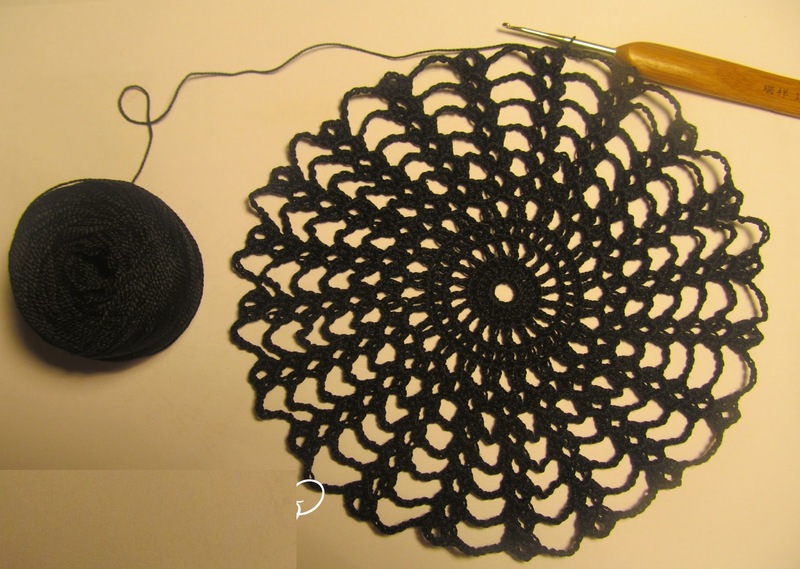 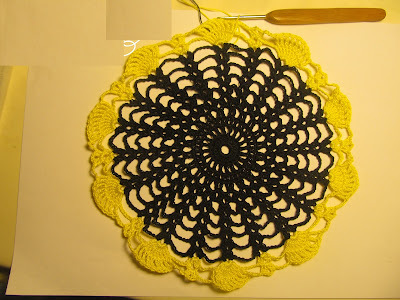 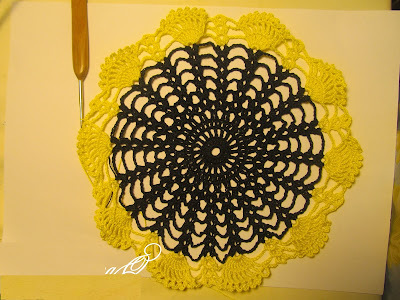 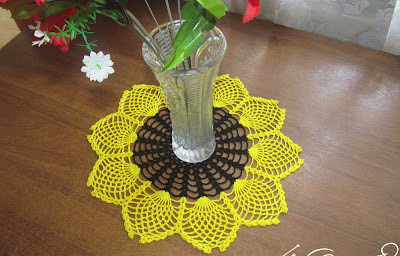 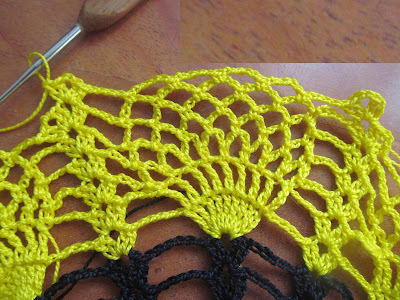 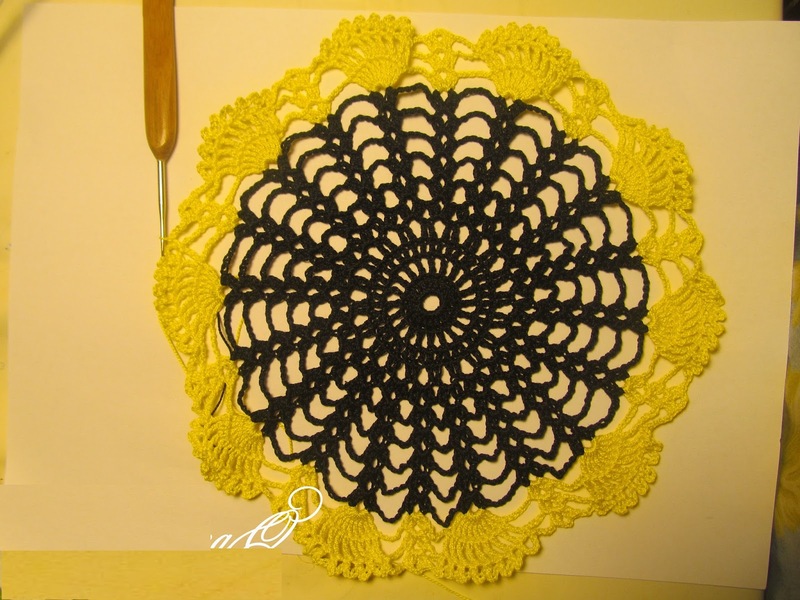 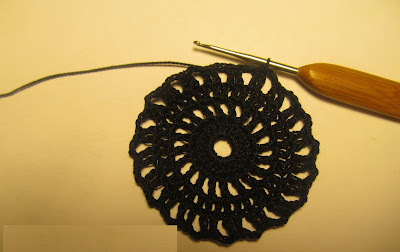 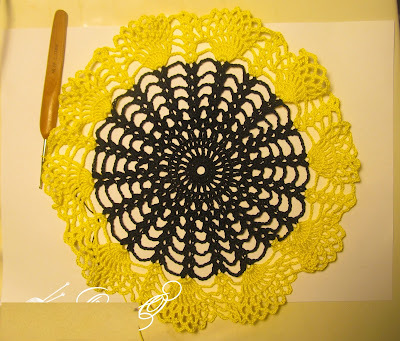 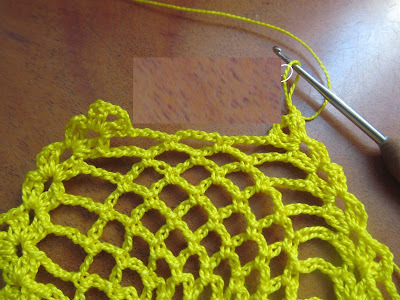 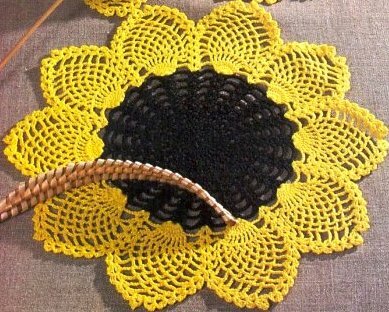 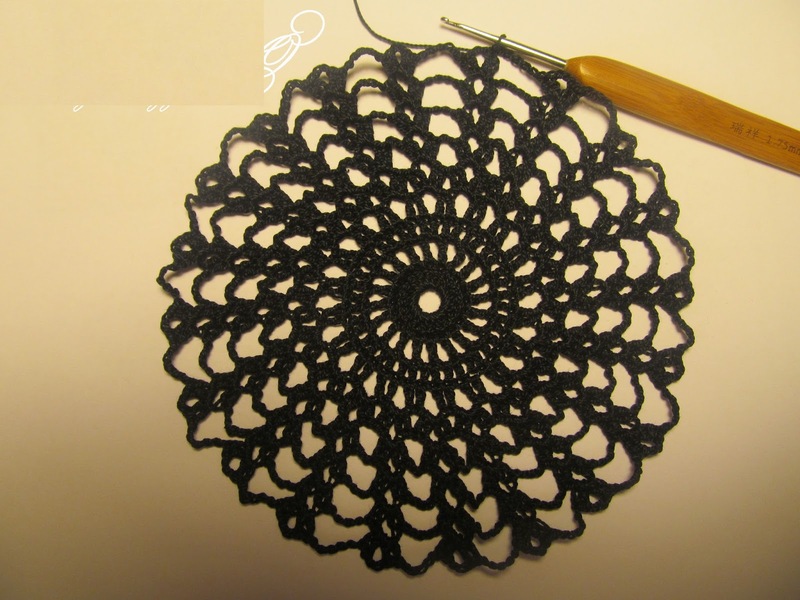 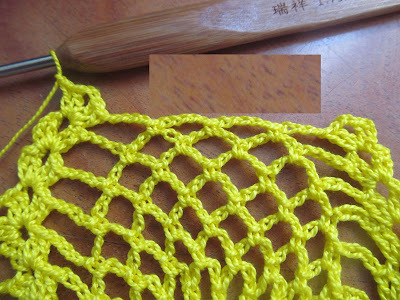 You will need cotton nr10 black and yellow and hook 2mm. 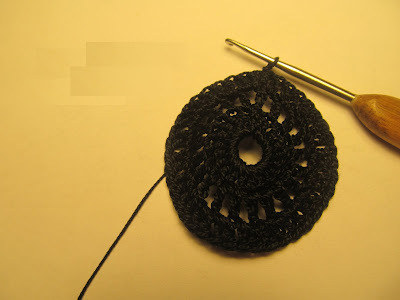 Row 1: Ch8 make ring. 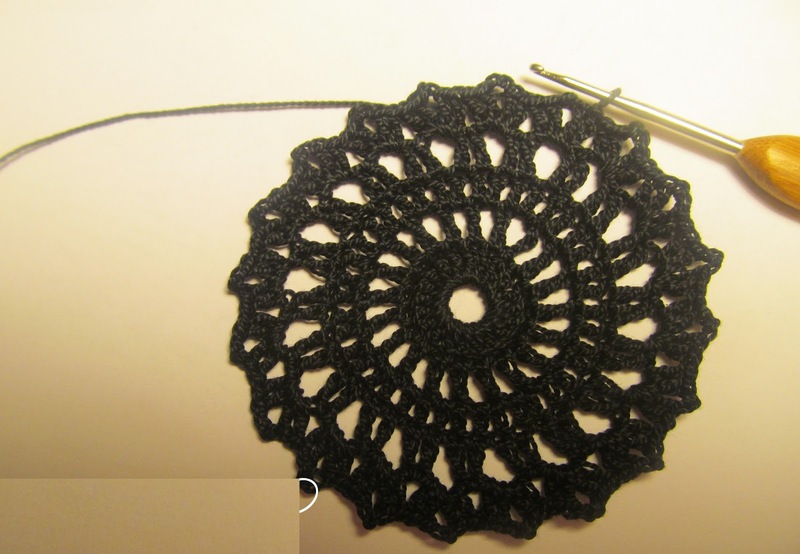 Row 2: *Dc, ch* in each loop around. Row 3: Dc in each loop around. 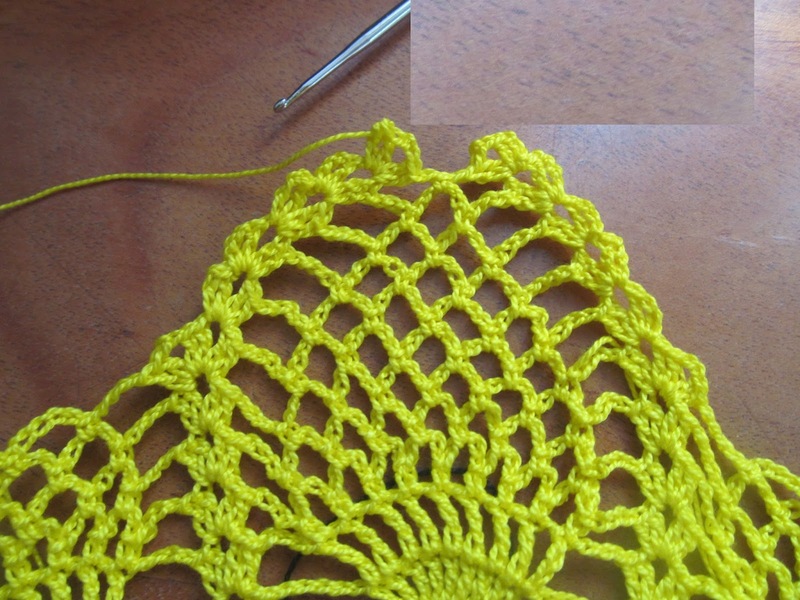 Row 6: **2dc,2ch, 2dc* in each arc, 2ch* repeat around. 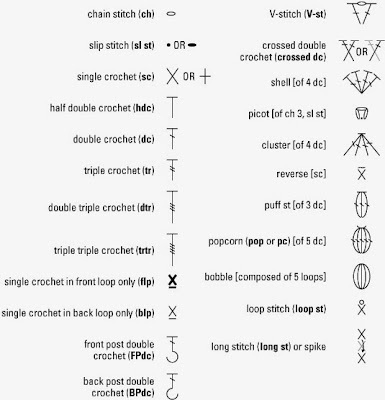 Row 7: **2dc,2ch,2dc* in each arc, 3ch* repeat around. 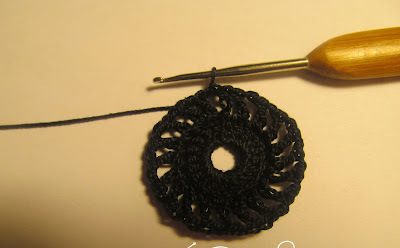 Row 8: **2dc,2ch,2dc* in each arc, 4ch* repeat around. 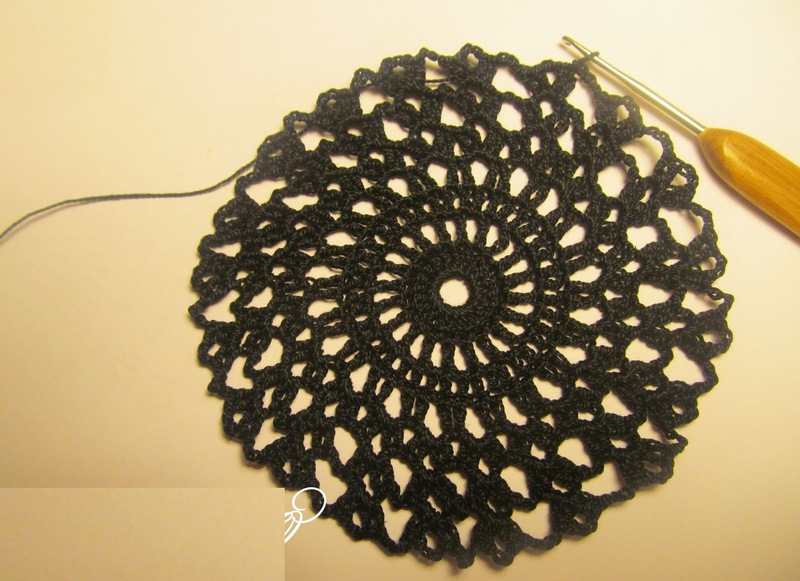 Row 9: **2dc,2ch,2dc* in each arc, 5ch* repeat around. 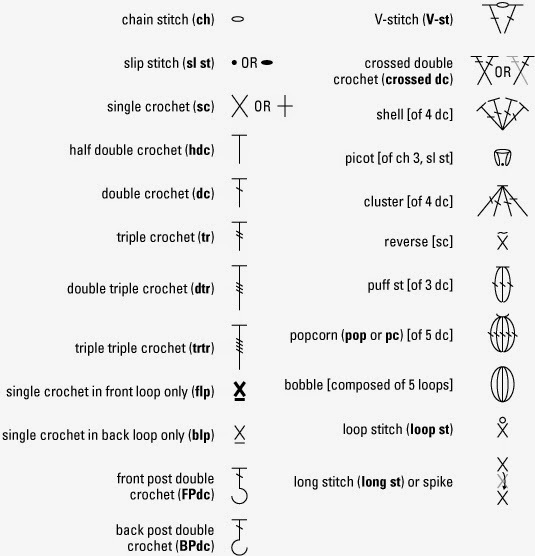 Row 10 : **2dc,2ch,2dc* in each arc, 6ch* repeat around. Row 12: *tr.ch- in each tr last row, 4ch, 2dc,2ch,2dc-in 2ch arc last row. 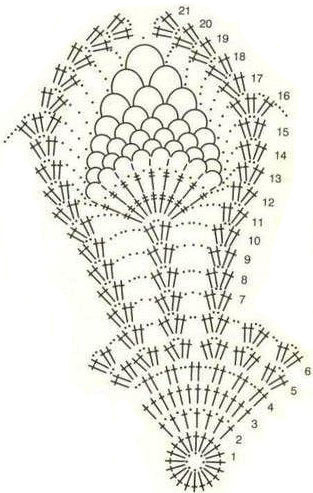 Row 13:* sc in first tr, 5ch,sc in next tr-repeat 8 times, 4ch, 2dc,2ch,2dc, 4ch* repeat around. Row 14:* sl st in first arc, 5 ch, sl st in next arc- repeat 7 times, 4ch, 2dc,2ch,2dc, 4ch* repeat around. 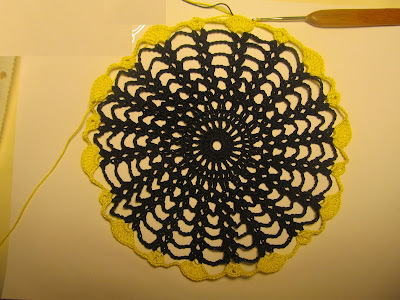 Row 15: * sl st in first arc, 5 ch, sl st in next arc- repeat 6 times, 4ch, 2dc,2ch,2dc, 4ch* repeat around. 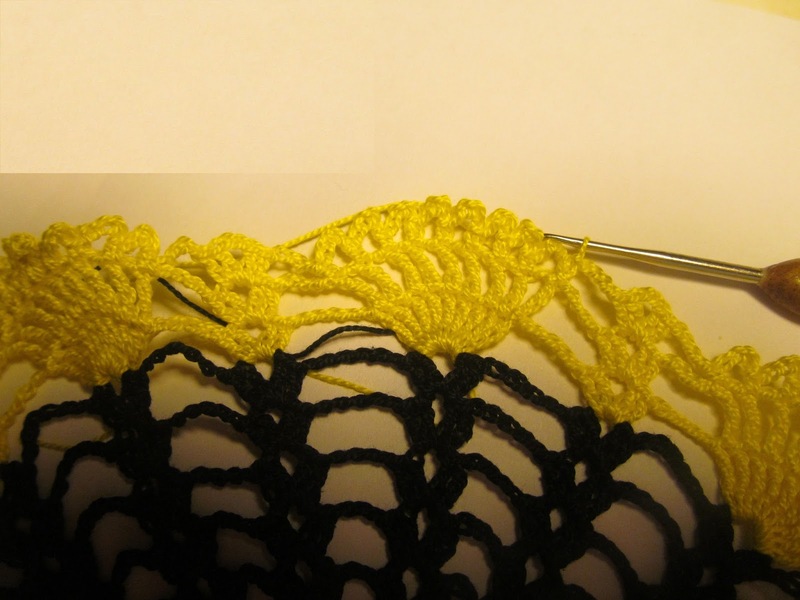 Row 16: * sl st in first arc, 5 ch, sl st in next arc- repeat 5 times, 4ch, 2dc,2ch,2dc,2ch,2dc, 4ch* repeat around. Row 17: *<2dc ch="" dc=""> 4ch, sl st in first arc, 5 ch, sl st in next arc- repeat 4times, 4ch,< 2dc,2ch,2dc>repeat around. make seperate each petals.